Hey everybody! Happy Tuesday! I hope you all are having a great week! 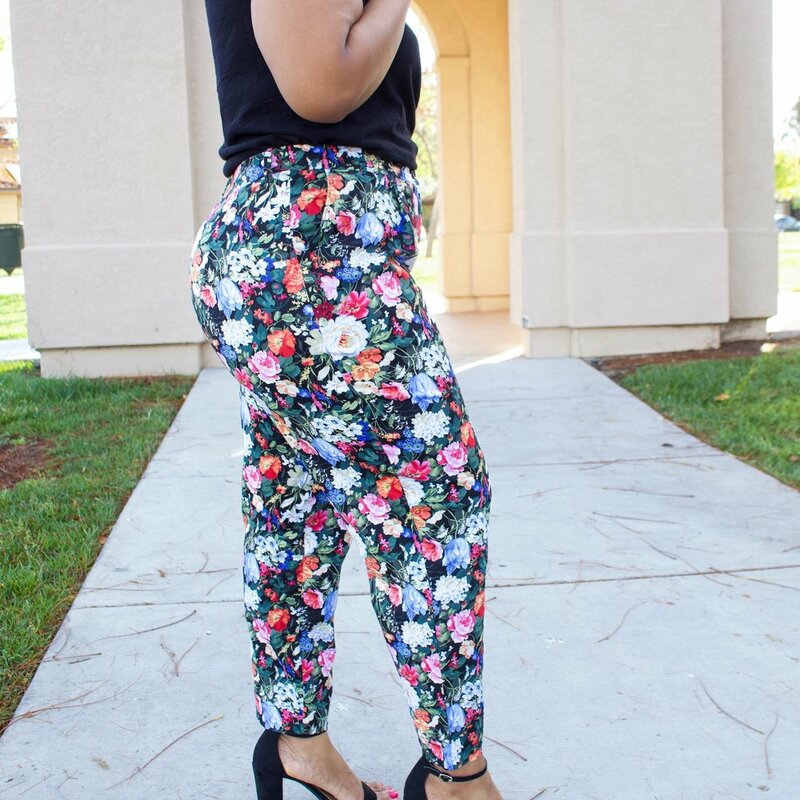 Today I am sharing my newest pants that I made using Simplicity 8842. I was drawn to this pattern because it reminded me of a classic chino style pants and I don’t have any pants like that in my closet. 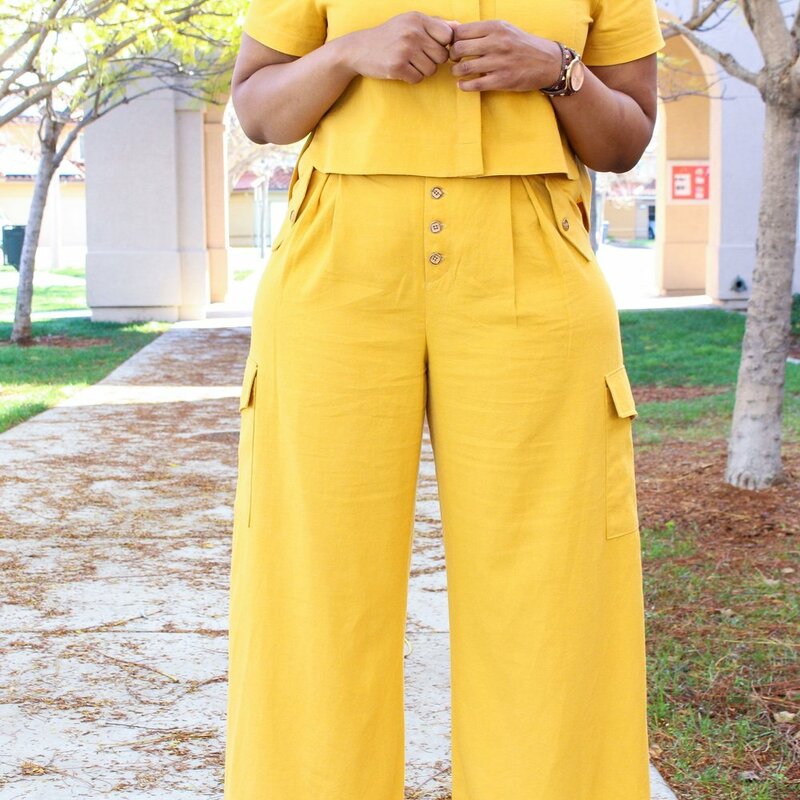 I have a lot of wide leg pants, culottes and now my shorts section is starting to grow, but I felt I was missing this style pant! 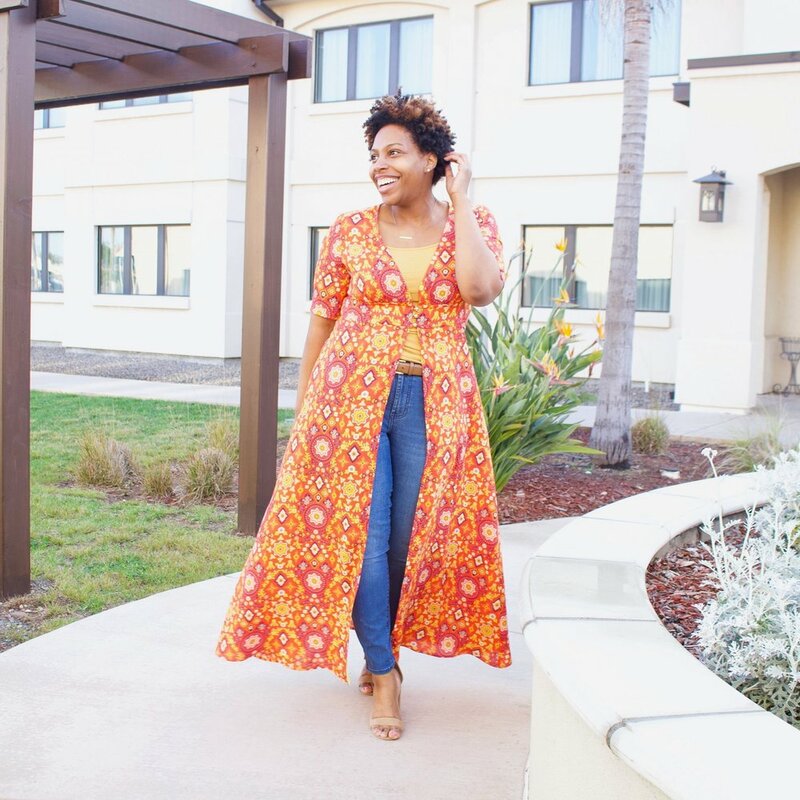 Simplicity 8842 is one of their Amazing Fit patterns and I’m a fan! The amount of details that they put into these patterns to help get a proper fit is great. They even include an inch seam allowance on the side seam for pattern adjustments. As well as show you how to measure your body to pick the right size! I would definitely recommend this pattern if you’re interested in patterns and want details like I mentioned to help! 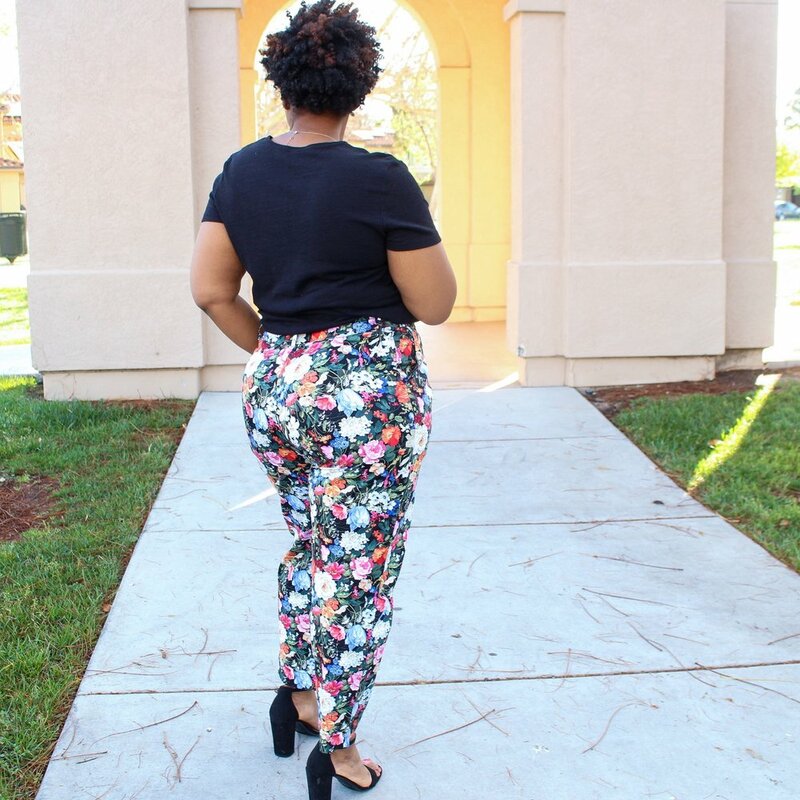 I cut the size 22 in these pants and although that was the right size for my hip measurement, I had to take in a lot of excess fabric. I’m talking about 4 inches on one side seam excess! You can see all my fitting adjustments over on my Instagram highlights and just how big they were. To fit my pants to me, I pinned out the excess fabric along the side seam and also took out fabric from the center back seam. I think my pants are a little more fitted than the model version on the pattern envelope but I’m happy with the final look of my pants! For fabric, I used this Garden Floral Print Stretch Cotton from The Fabric Store. This is a Cotton/Lyrca blend which is worked great because I like a little bit of stretch in my pants. I also LOVE this print! 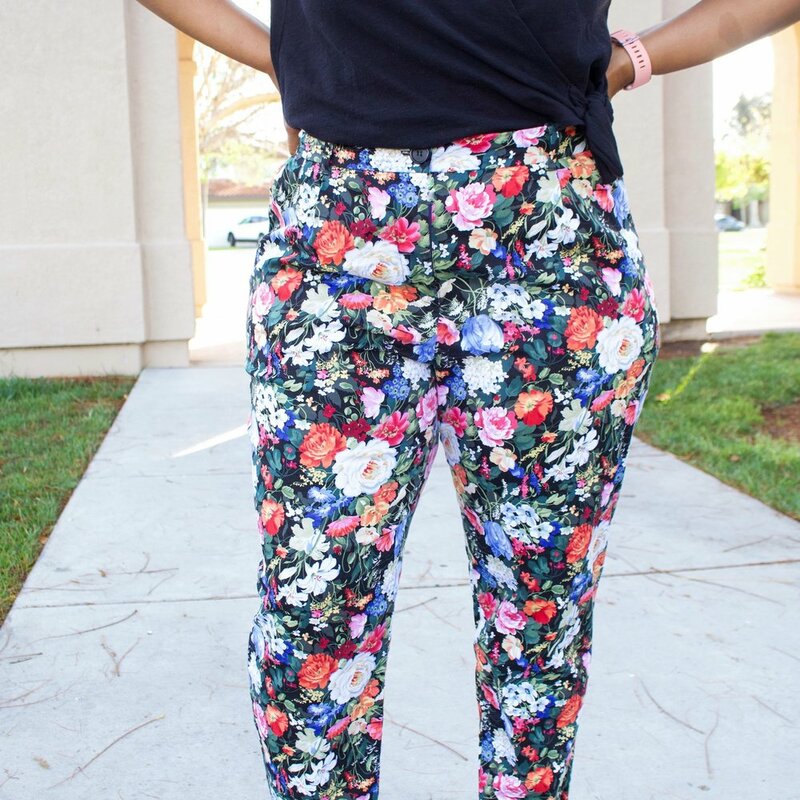 I think its so Spring, and fun and I can wear these with every color top there is LOL! This fabric is also perfect for shirts, dresses, and skirts! 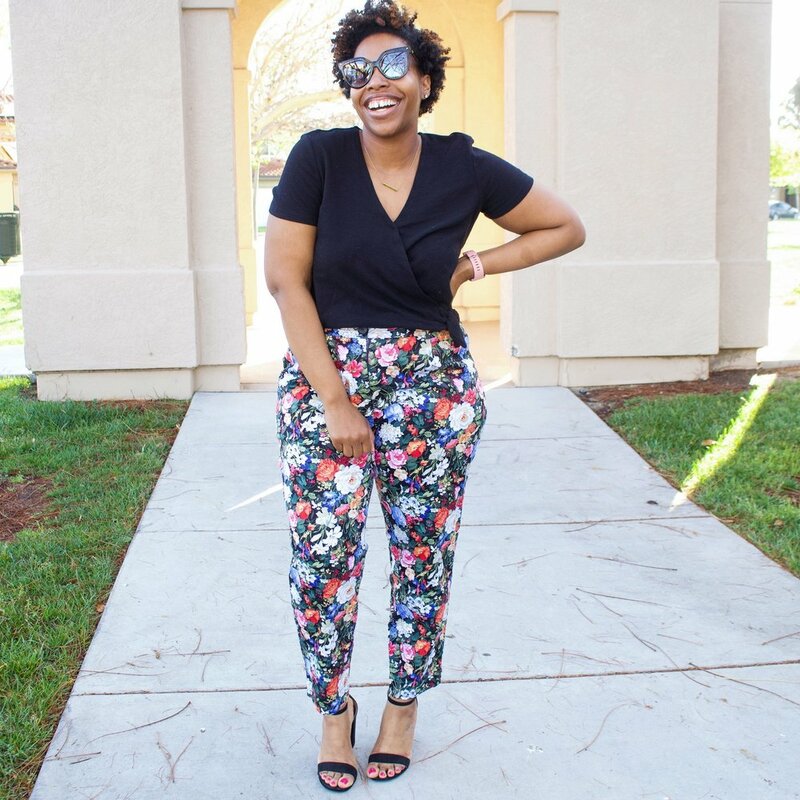 I paired my pants with a top from OldNavy, and my black sandals and sunglasses from Target. 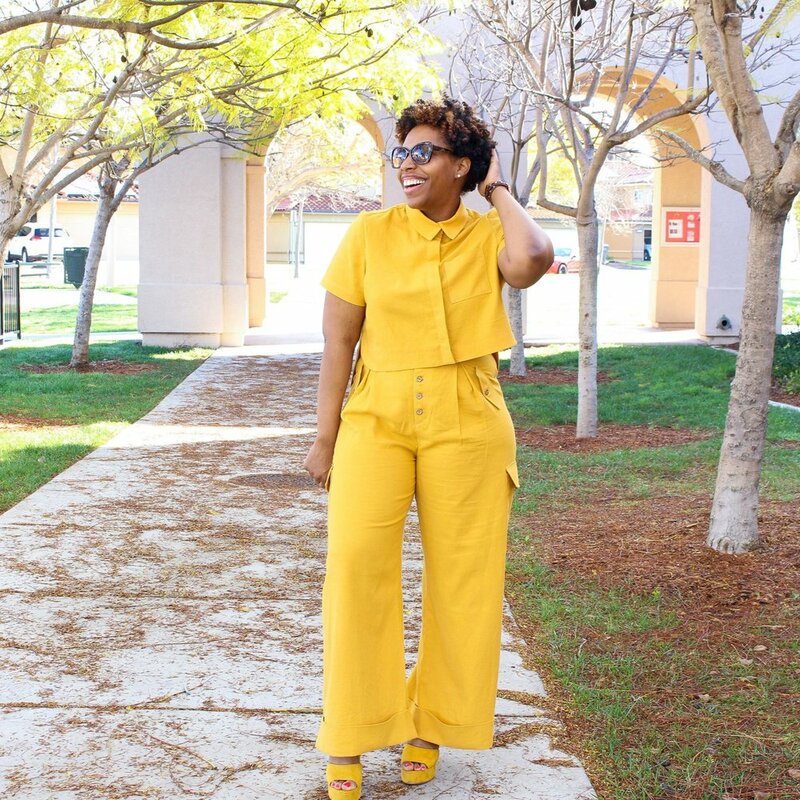 Overall I love these pants! I’ve worn them out a couple times and felt amazing in them! I’ve probably revisit this pattern to make a pair or two in a khaki or olive color. Hey everybody! Happy Friday! I hope you’re ready for the weekend, because I am! I’ve had a very busy week, and I’m looking forward to sleeping in and doing nothing! This week was also a reflection week for me as we come upon Easter! I found myself in prayer more and filled with a grateful heart! I love the Lord and His Son Jesus Christ! I’m so grateful to Jesus for laying down His life and God for His unconditional love! I look forward to celebrating His resurrection this Sunday! 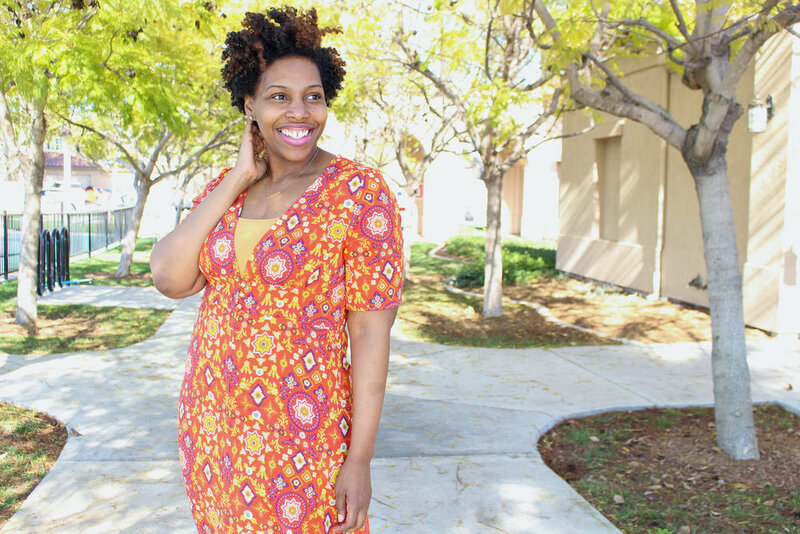 Today I’m sharing my latest makes and y’all….I LOVE! Vogue 9008 is a pattern I will make at least 4-5 times! Its a great sew and I love the final look of them! For my shorts, I cut the 18 and made no adjustments to them! I made View E on this pattern and although they fit great, I think maybe I’d prefer them an inch or two longer. So the next ones I make, I’ll sew View F and play around with the length to my liking. The fabric I used to make the shorts is this Liberty of London Twill from The Fabric Store Online. It’s a lightweight, soft brushed, 100% cotton, and I just love it! I wanted my shorts to light because it’s warming up here in California and these were just what I wanted. My top is also made my me and I used one of the latest patterns from StyleSewMe Patterns the Lisa. This was probably one of my easiest makes! It literally took less than 30 minutes to sew! 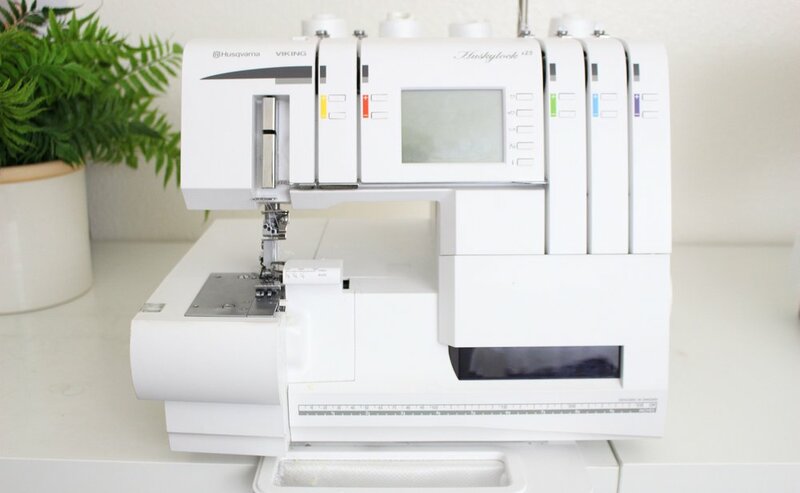 Eryn (owner of StyleSew Me Patterns) has a tutorial on her YouTube channel to sew along with this pattern. Hey everybody! I hope you’re all having a great day! 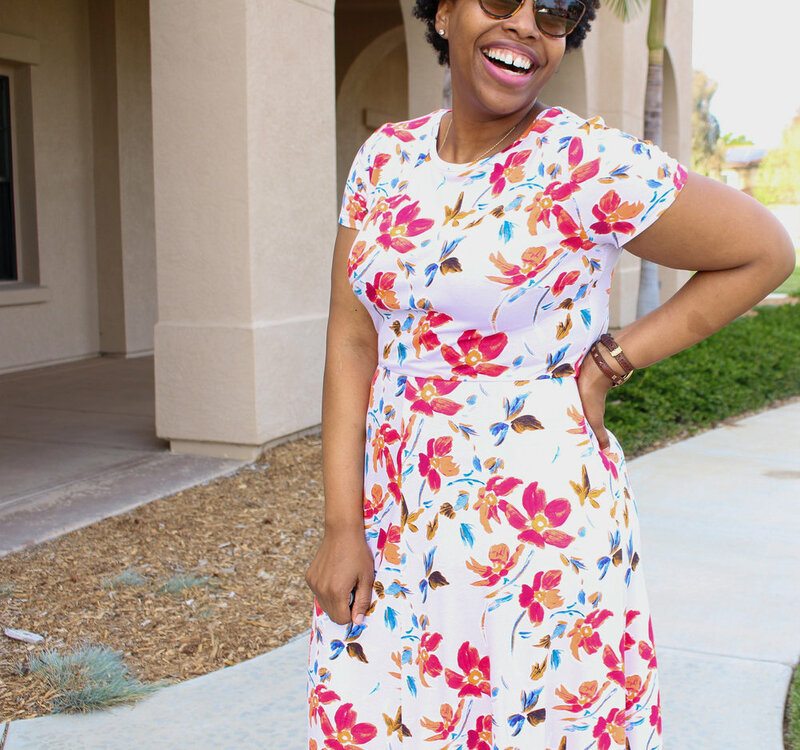 I’m really excited to share this Easy to Sew dress from Simplicity 8874. One because I love this fabric, the dress really was “easy to sew”, it has pockets and I felt great in it! 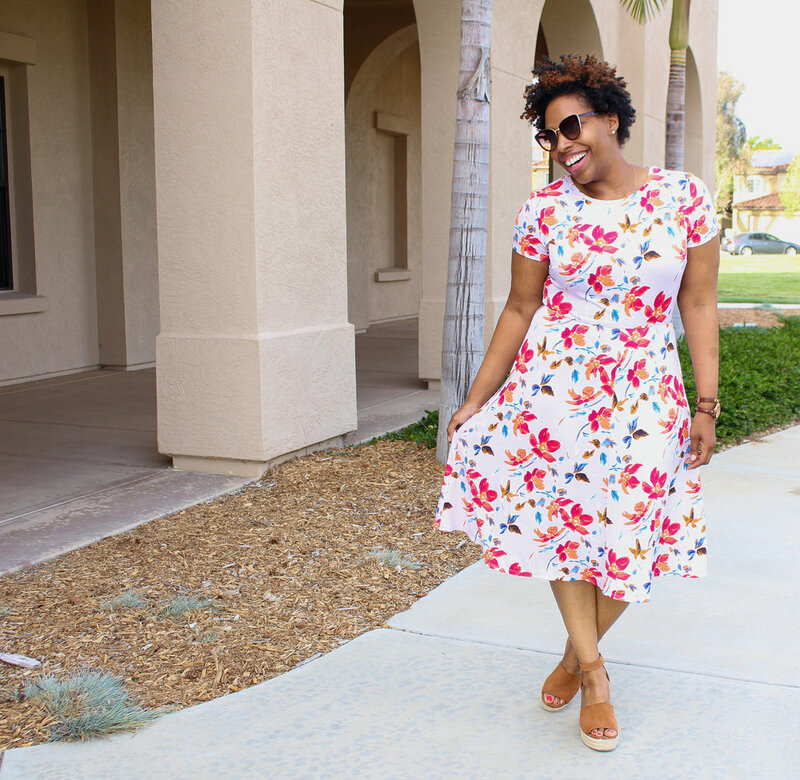 Nothing like a simple cute dress to slip on and run errands in! 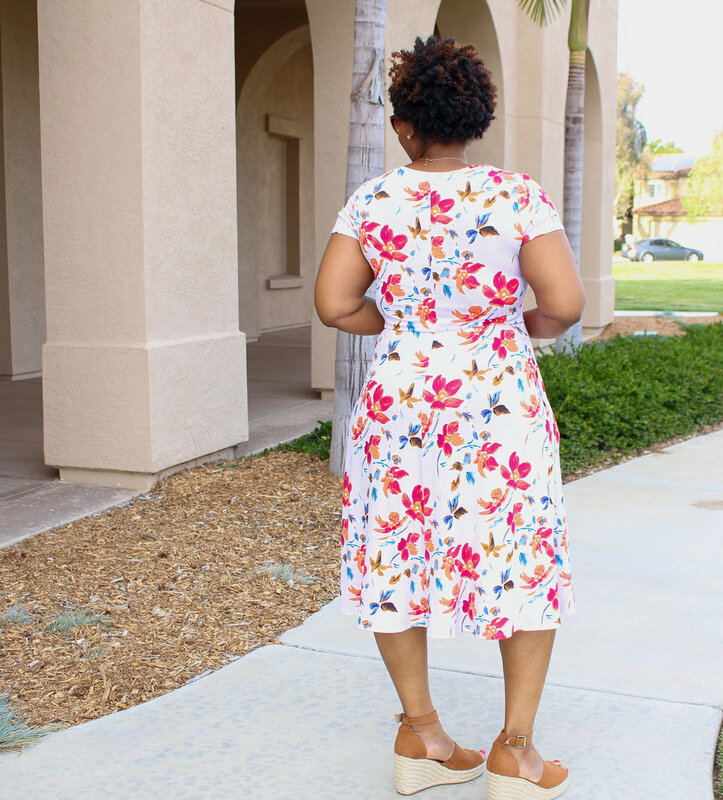 I created a step by step sew along video for this dress so this post will serve as a place to share more photos of it. I purchased my fabric from my local Joann, and paired it with my favorite espadrilles from Target (option)! I’m really happy with this dress and plan to make a couple more for spring and summer! Be sure to watch the video for details about size, stabilizing the shoulders and to see it come together! Hey everybody! Happy Sunday! I hope your week is off to a fantastic start! 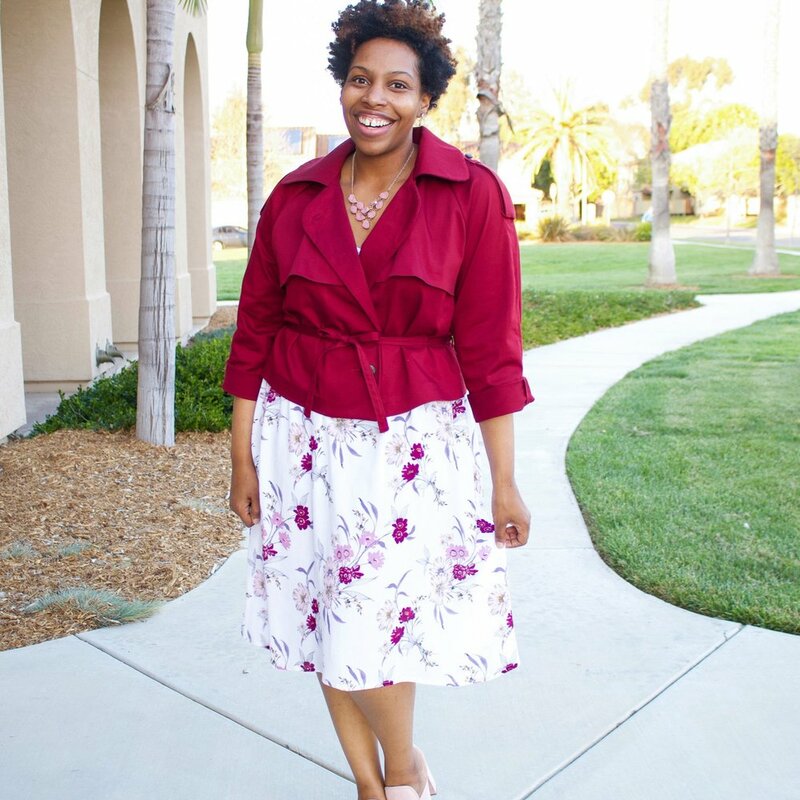 I am playing catch up because I can not believe that I forgot to post about this Simplicity 8890 outfit! Forgive me, things have been kinda crazy around here! And I really feel bad that I haven’t kept the blog post up consistently as I post them on social. I’ll have to crave out an extra hour at night to get caught up! But for now lets chat about this look!! This was the second pattern I made and recorded for Mimi G Youtube channel while she was traveling for business! 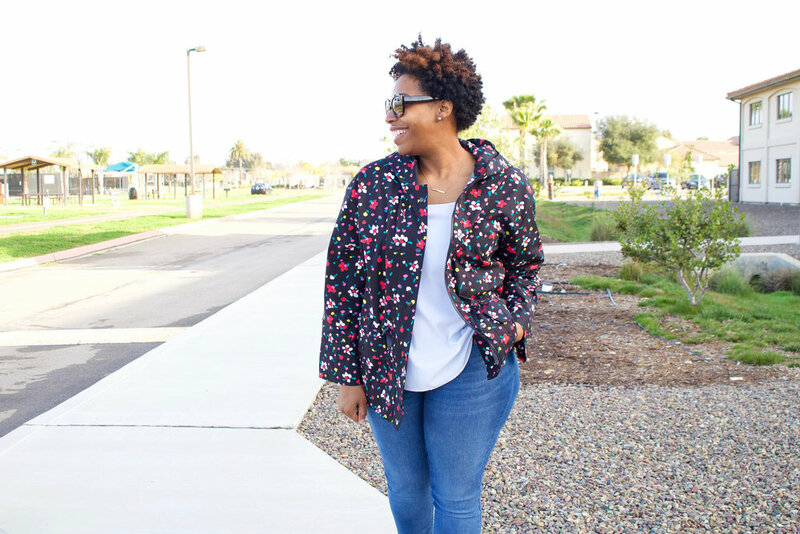 The jacket was a MUST make for me, because I just loved everything about it! The length, tabs, cape, and tie had me sold! I was going to pass on the slip dress, because I’m not comfortable in complete backless dresses. 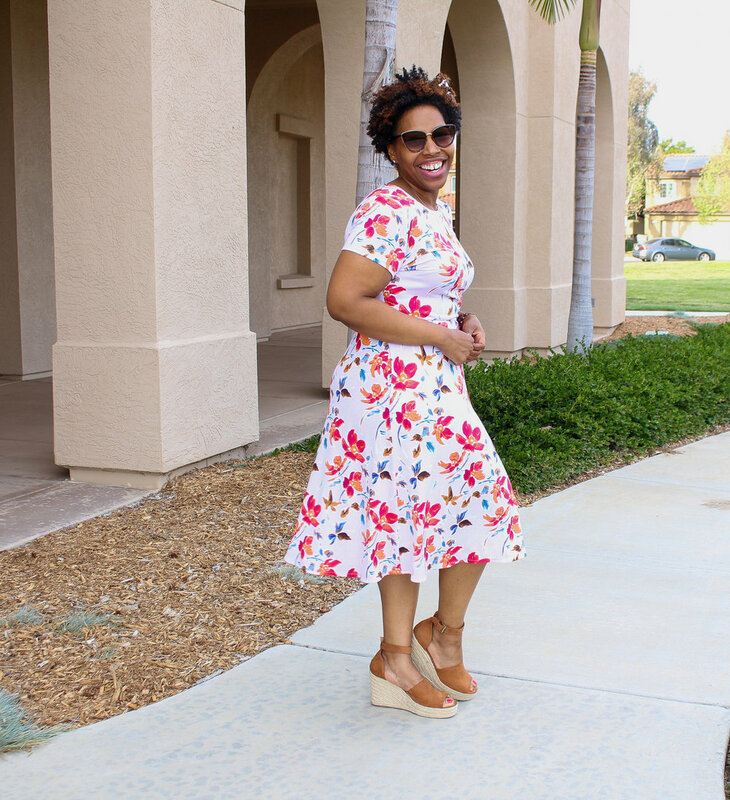 So I was going to use another slip dress pattern, but when I was asked to record the sew along, I but all comfort to the side and whipped this dress up! LOL! For fabric I purchased all my materials from my local Joann. 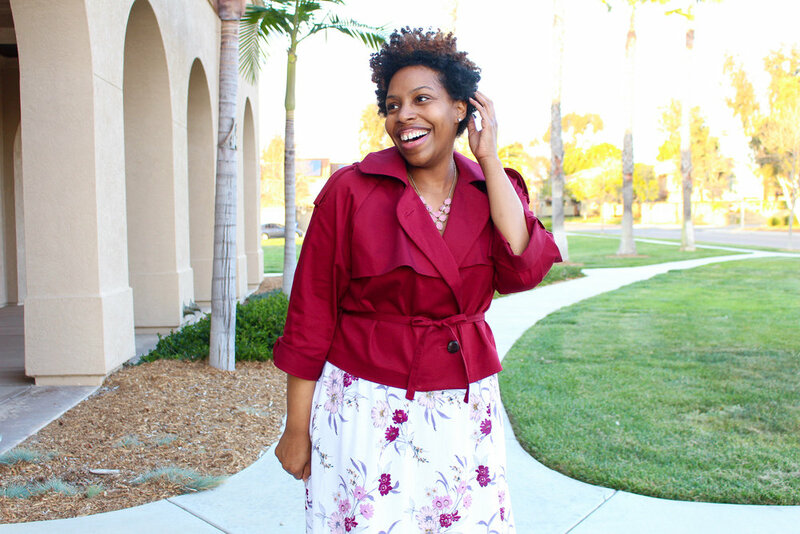 The jacket was a Sateen, the jacket lining for the cape is a Bemberg Rayon and the dress fabric is a Rayon (option). I originally thought it was a Crepe because it has a texture to it, and when I went back to Joann to look at the bolt, I saw it a crinkle Rayon! LOVE! Its has a crepe-like texture and flows and wears beautifully! I also found my buttons there as well. I could not decide on buttons so I ended buying 3 different types! LOL! It was during the Buy 3 Get 3 sale! LOL! Both of these garments came together great! The instructions were easy to follow and I enjoyed sewing them! I learn something new every time I sew. For this project, I believe sewing a cape to a jacket was a first for me and sewing sliders onto dress straps was as well! Overall, I love the look of this outfit. It’s definitely something I will wear out to brunch or church (jacket on of course lol). Even though the dress is not something I’d wear alone, I love it enough to keep it and pair under a jacket! The sew along for both the jacket and dress are now live on Mimi G Youtube channel. 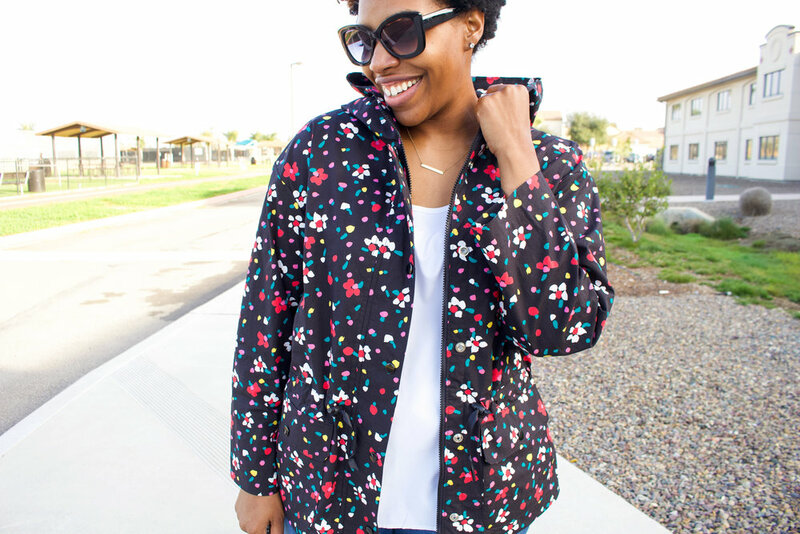 You can click here for the jacket, and here for the dress! Hey everybody! Happy Tuesday! I hope you’re having an amazing week! I am in love with my Linen top I’m sharing today so let’s jump right into it! 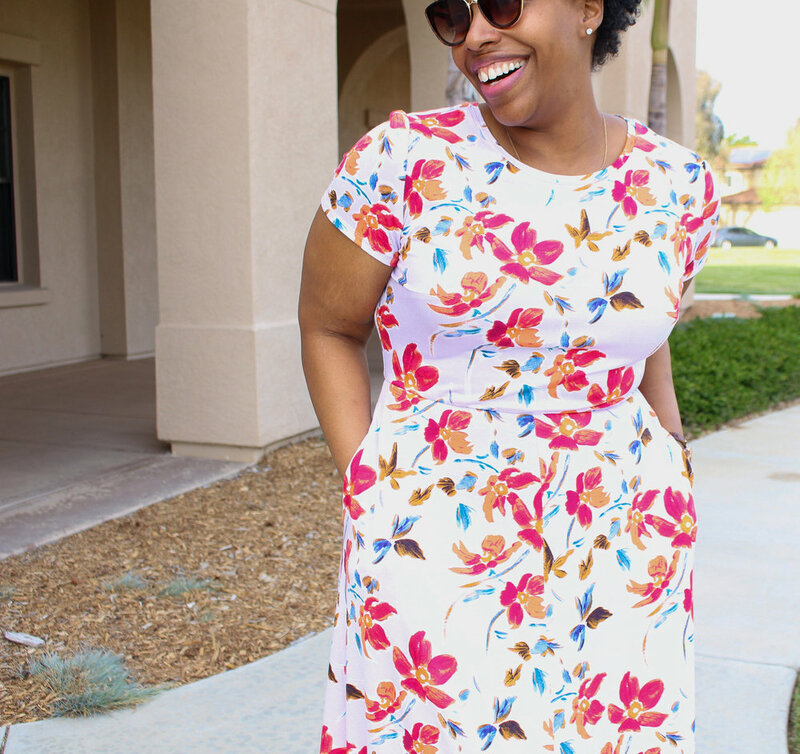 When I saw Mimi G new Simplicity 8889, I KNEW I would make it in multiples! LOL! I just loved everything about it! 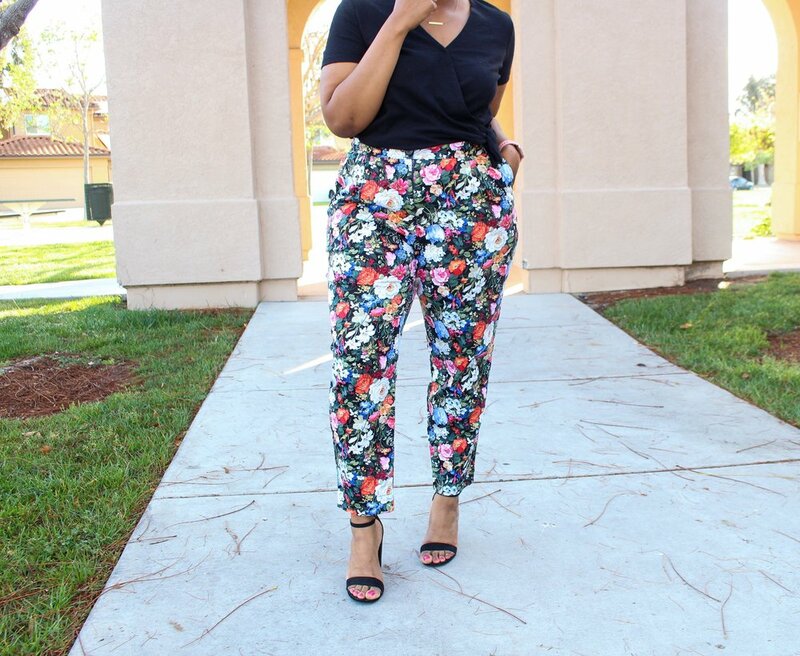 The top, the pants, all the possiblilties for styling and different fabrics that can be used! I was obsessed and started stalking my Joanns immediately until the had them in stock (don’t judge me lol)! For fabric, I used the amazing Multi Striped Linen from Joann! You all know I love linen so I basically ran to the counter with the bolt! I didn’t have a lot of coupons to buy yards and yards of it, so I only purchased what was required to make the top. For size, I cut the 16 and made no adjustments to it. You can see that the back yoke is cut on the bias and that was not intentional. I originally cut the yoke to match the back. I had everything lined up perfect, cut it out, and as I was pinning the yoke to the back, it no longer matched! I completely forgot that we have to form a pleat on the back. UGHHHHH! Don’t you love it when things like that happen?!!! Nevertheless, I made it work. I really wanted to have the stripes go horizontal to match the pocket, but I had only scraps left and just enough to cut one on the bias. So the bias cut yoke I used for the outside and the original yoke, I added a yoke facing to the shirt with it! Below you can see a couple pics from the inside. The hem, the placket, the yoke and the collar that I hand sewed instead of stitching in the ditch. I did add a tank under my shirt because my jeans weren’t high waisted and some midriff was showing. I think if i pair it with high pants/jeans, I’ll be good though. Overall, I love this top! I think its super cute top, and I really enjoyed making it. I honestly thought the button placket would have me scratching my head, but the instructions are written really well and I had no problems! 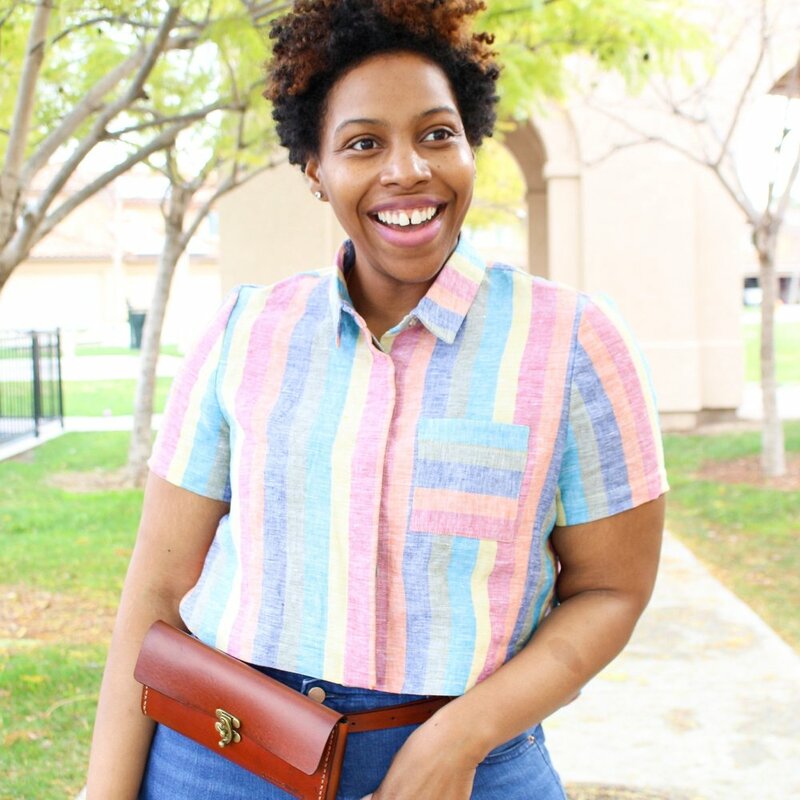 To style my new top, I wore my new waist pack from Nikki & Mallory! I LOVE MY PACK!!! #teamhandsfree all Spring and Summer lol! I also wore some Old Navy jeans, and my chucks!